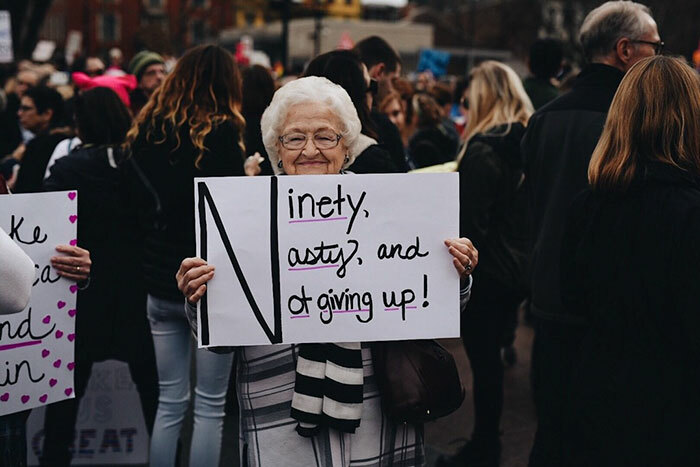 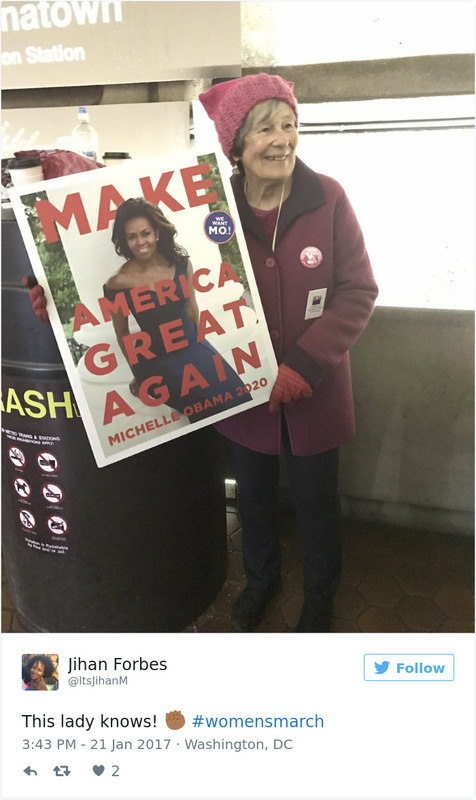 The 2017 Women’s March was revolutionary thanks to women of all ages, including these badass grannies. 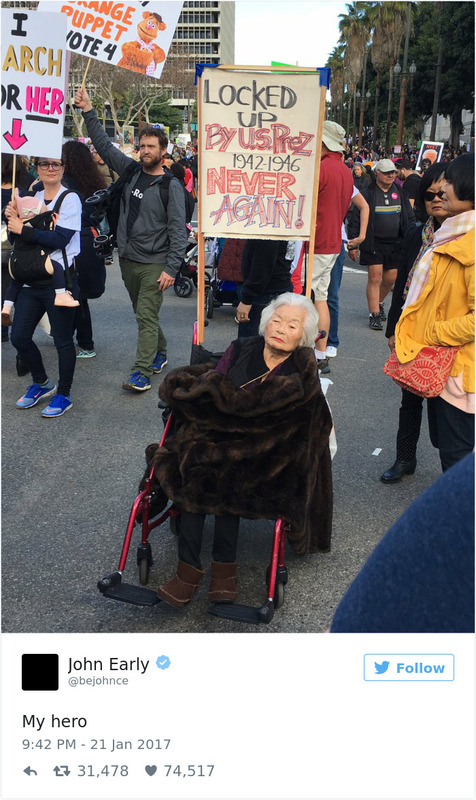 An estimated 2.9 million protesters took to streets around the world on Saturday, and a lot of grandmas felt it was their duty stand in solidarity with the crowd. 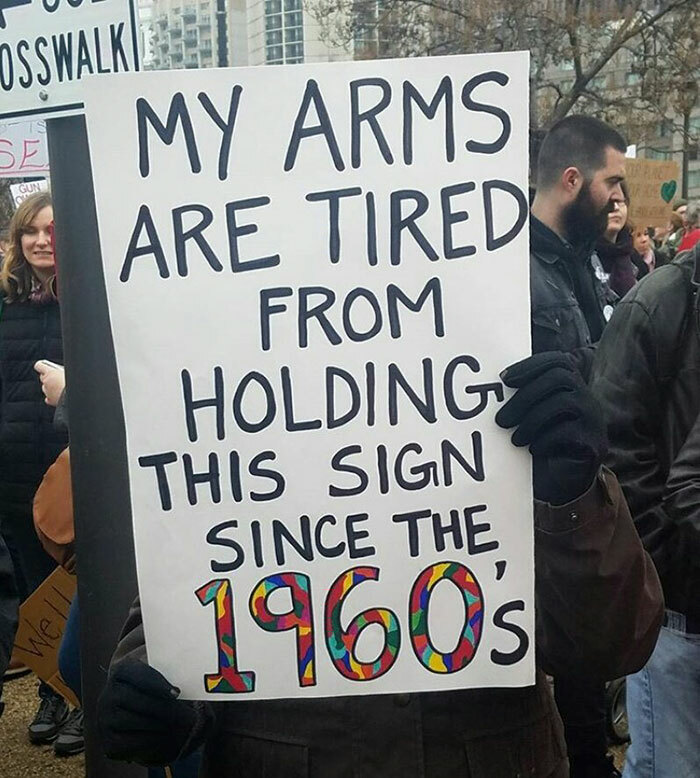 They knit hats, made hilarious signs (“This grandma grabs back!”), and raised their middle fingers in the air, sending a clear message to anyone who tries to take their rights away. 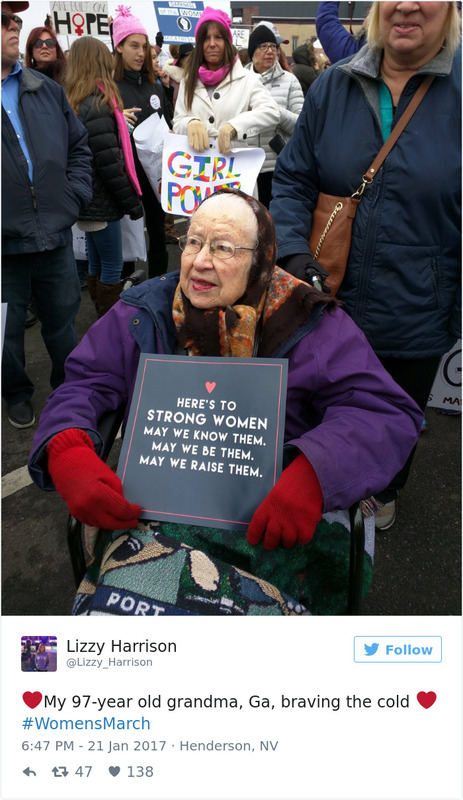 The events were strikingly similar to the Woman Suffrage Parade in 1913, which would have been recent history for some of these grandmas in their youth. 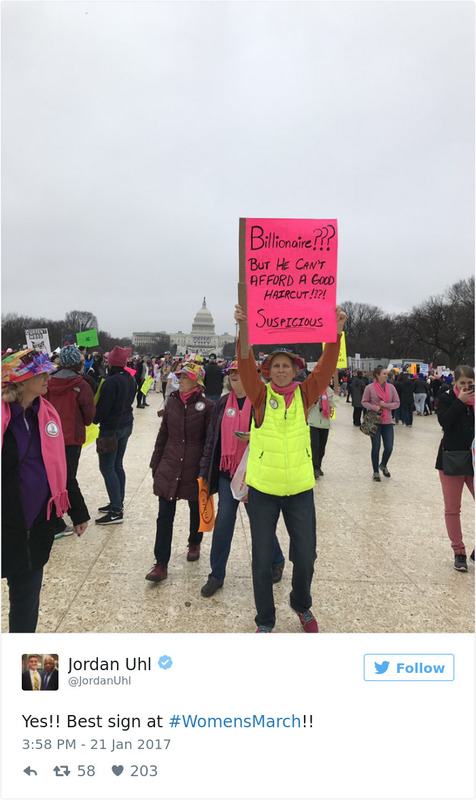 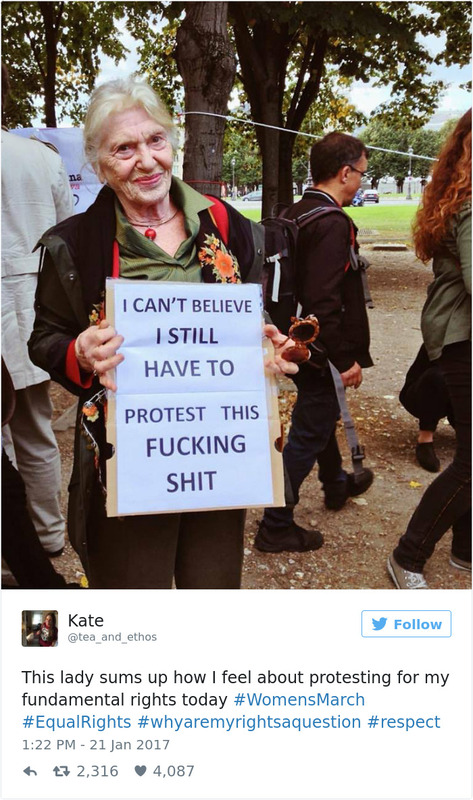 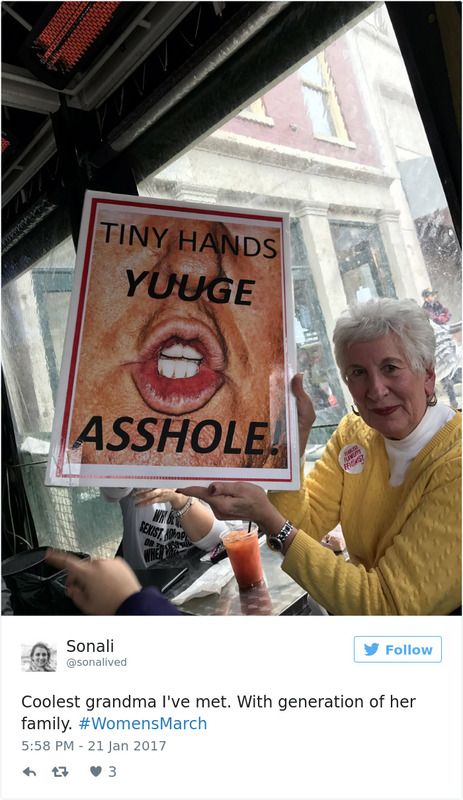 We previously wrote about the best signs from various Women’s Marches around the world, and now we’ve got even more, brought to you by a few ‘nasty’ grannies Donald should definitely be afraid of.